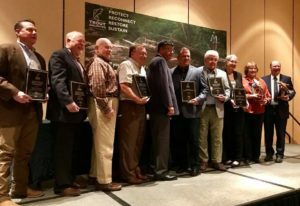 The Arizona Women of Trout Unlimited began to take shape in October of 2016 with the selection of Linda McAteer as the State Chair for the TU Women’s initiative. 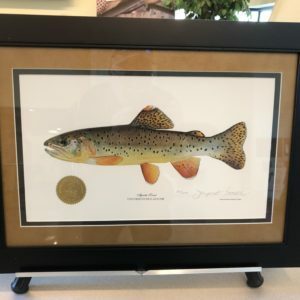 Since then, Trout Unlimited has re-branded the initiative as the Diversity Initiative, making it a wider effort to include more people of all ages, abilities, and ethnicities in the conservation of coldwater fisheries and the sport of fly fishing. With the broadening of the scope, Susan Geer stepped up to take the State Diversity Chairperson spot, with Linda opting to focus on projects with the Zane Grey Chapter. 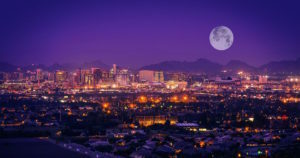 With Roseanne Marsett in the Old Pueblo Chapter, and Sharon Richardson in the Grand Canyon Chapter, the Diversity initiative in Arizona is in good hands, and well on the way to achieving some of its early goals. The Zane Grey Chapter began with a two-part event, beginning with a class at Bass Pro Shops in Mesa, Arizona. 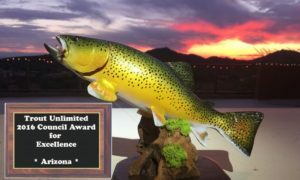 Women throughout Arizona were invited and were offered an introductory membership to Trout Unlimited. During this first meeting, attendees were introduced to the gear and techniques needed for the first Arizona Women of Trout Unlimited fly fishing outing at Dead Horse Ranch State Park. This first group fly fishing event was sponsored by the Arizona Fly Casters (AFC) and Arizona and Beyond Fly Fishing guide service. The group, a mix of begining and experienced anglers, had a pond-side lesson on casting and were then joined by volunteers from the AFC for a hands-on fishing experience. A recent storm had made the fishing somewhat technical, but everyone hung in there for a morning of fly fishing and friendship building. After a somewhat non-productive morning on the water, the group gathered at a local winery in Cottonwood, AZ to toast new friends and lament the poor luck on the water. With the many classes offered by local fly fishing clubs there are lots of activities to choose from over the spring and early summer here in the Valley of the Sun, but the highlight of the summer of 2017 was the Arizona Women of Trout Unlimited Fly Fishing School held at the X Diamond Ranch near Greer. The event would not have happened without the support and guidance of Cinda Howard, owner of Fly Fish Arizona and Beyond. When asked for ideas for a summer event, Cinda freely shared her experiences as one of the state’s premier fly fishing guides and directed us to the X Diamond Ranch. Situated on the Little Colorado River, the ranch offers private, stocked waters in one of the most beautiful valleys in the American Southwest. Ranch owner, Wink Crigler, a living icon of ranch life in Arizona, welcomed us with open arms and provided the perfect setting for our event. We are very pleased to announce that the Women’s Fly Fishing School will be an annual event at the X Diamond Ranch. Our dates are set for 2018 and 2019. In addition, we have added a second beginners school in the fall of 2019. Follow us on Facebook for more details about this exciting adventure in South Fork Canyon on the Little Colorado River. 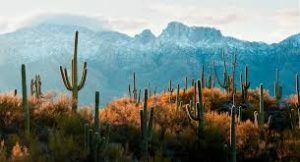 In Arizona, we look at the months of November through May as our “Season.” This is the time of year that fly fishers return to the valley to escape the cold, snowy weather at home. The local fly fishing clubs and outfitters like Bass Pro and Cabela’s begin to offer free classes for casting, fly tying, and rod building and with so many classes and meetups each week it’s difficult to fit them into your schedule. Rather than compete with all these activities, the AWOTU will have some meetups so that we can support each other’s growth in the sport; and we hope to have a few ‘women only’ classes here in the valley. 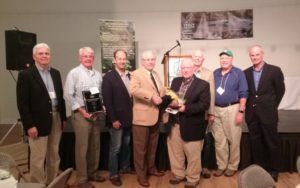 We also support the many conservation projects within our state by supplying volunteers for habitat restoration and river cleanup events. Like us on Facebook to keep up with our busy schedule.